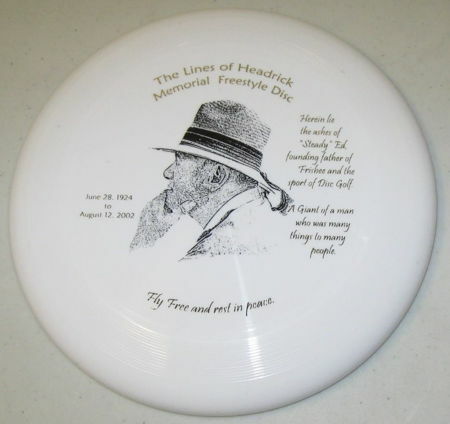 When "Steady" Ed Headrick, inventor of the Frisbee, died in 2002, he left instructions in his will that he wanted his ashes to be incorporated into discs so that he could fly like a frisbee. His wishes were honored, and you can still buy a set of these cremain frisbees at the Disc Golf Association for $200. 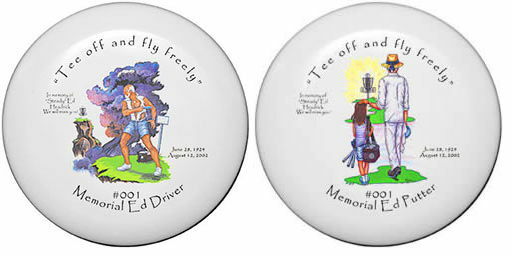 Discraft, the company that made the "Steady" Ed Memorial Frisbees, explained: "We understand that some people may not want to play with the discs and they might end up on a wall as collectibles. Therefore, we are selling the discs as sets of two so that you can at least play with one and keep the other in a pristine state." There's also a single Steady Ed Cremain Frisbee with a different design for sale on eBay, currently going for $89.99. 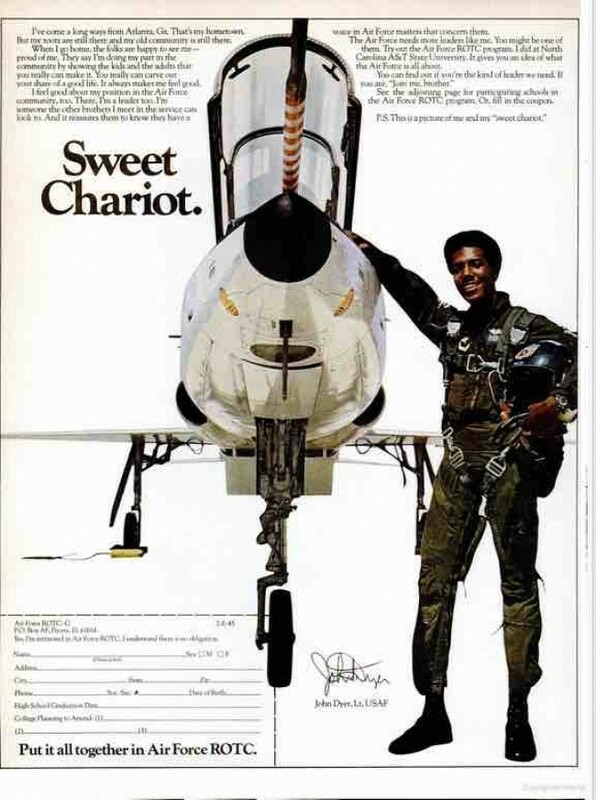 My favorite part is when this fellow puts his clasped hands to his cheek like a maiden about to faint. This young British atomic technician is getting his whiskers chopped at the hands of a "barber" on the other side of the thick glass wall (rear). These mechanical hands will be used in delicate "hot chemistry" work enabling the chemist to stand behind shielding and well beyond deadly radiation. 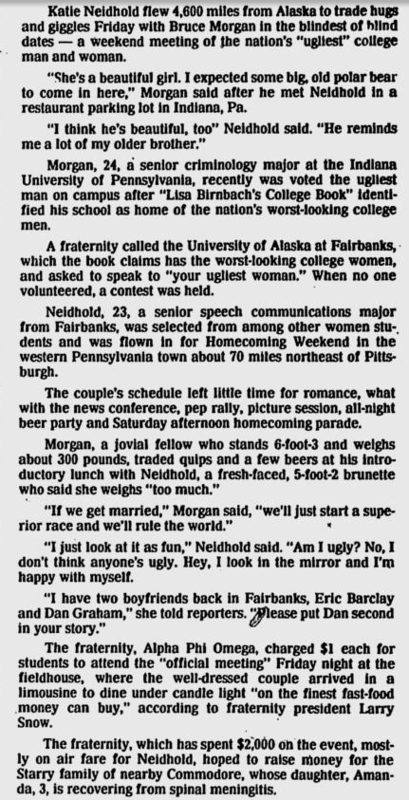 Back in 1990, Spy magazine conducted an experiment in "comparative chintziness." Its goal was to find out "Who is America's cheapest zillionaire?" Or, put another way, "how cheap are the rich?" To determine this they sent various rich people each a check for 13 cents, and then waited to see who would actually cash such a tiny check. Two people did: Donald Trump and the Saudi Arabian businessman Adnan Khashoggi. And yes, they made sure to send the checks to the home addresses of the rich people, and not to their accountants. So that the recipient would have to do a little bit of work to cash the check. 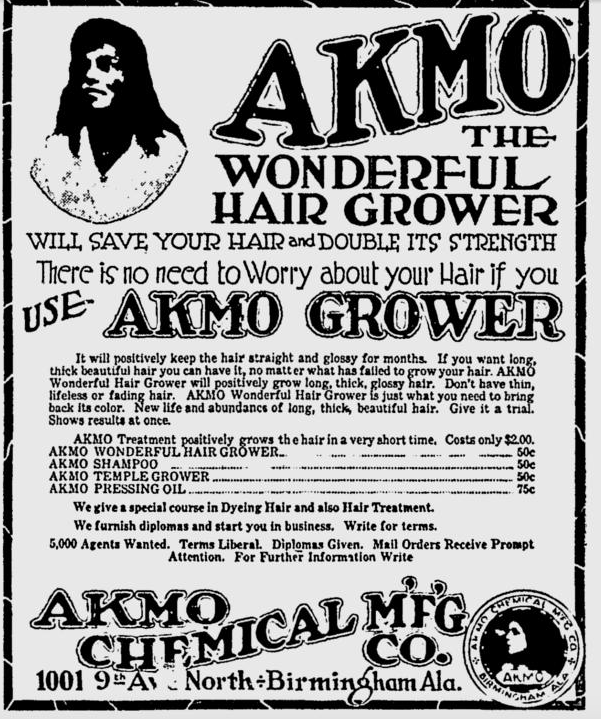 Unlike most patent remedies, there is no information that I can find for Akmo. I wonder what ingredients were in it. 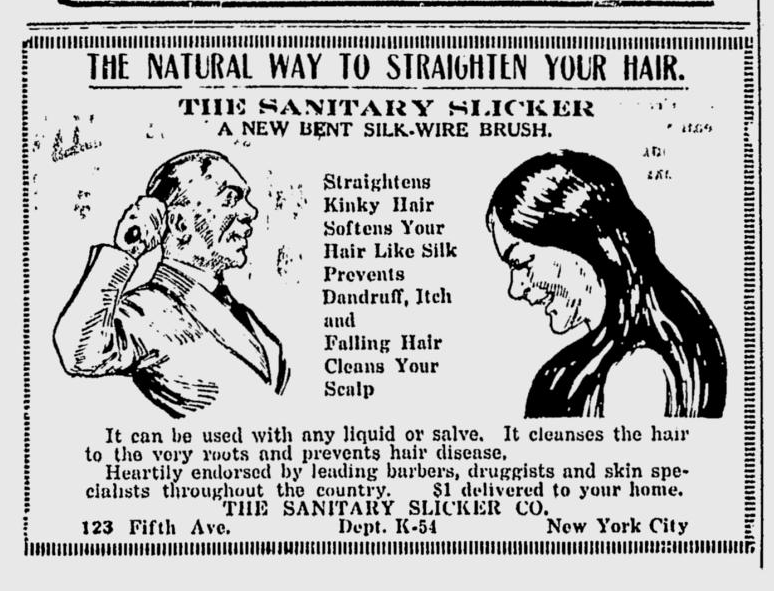 I assume it could be safely used with this product. 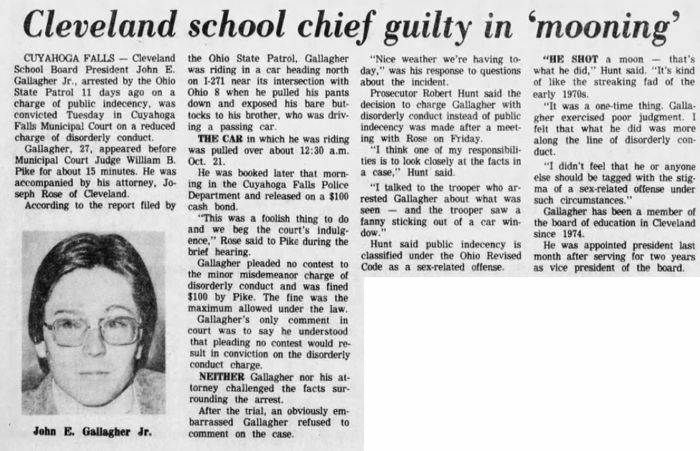 October 1978: Cleveland School Board President John E. Gallagher Jr. was charged with a misdemeanor and fined $100. The prosecutor explained the reason for the charge to the press: "He shot a moon — that's what he did." 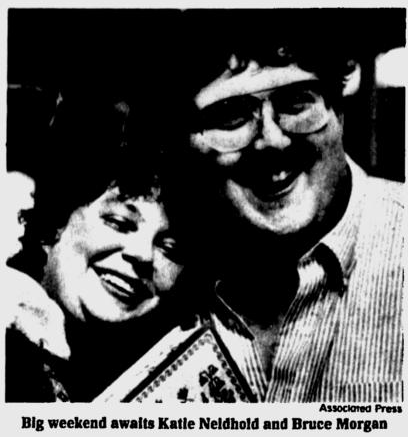 A state trooper had witnessed Gallagher, who was a passenger in a car driving north along I-271, pull his pants down and expose his bare buttocks to his brother, who was driving in a passing car. Gallagher pleaded no contest. I am truly happy. I give my life to my family, to my friends, and to the world. I am filled with love and compassion for all, so help me God. The script had been written by the County's Public Defender, John Locke, with help from a local Presbyterian minister, Rev. 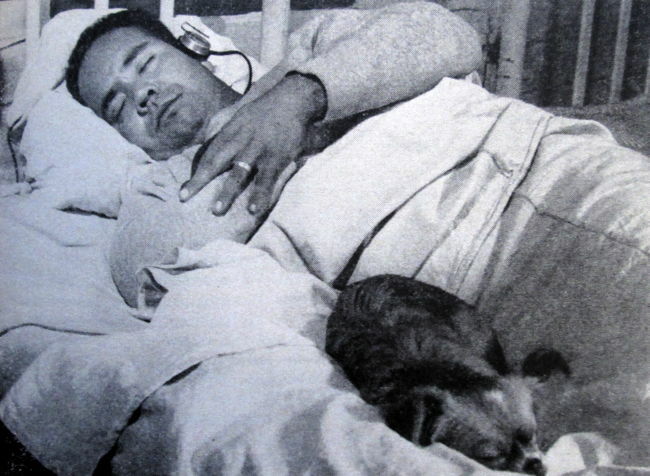 Glen Peters, and a hospital therapist, Robert C. Lally. 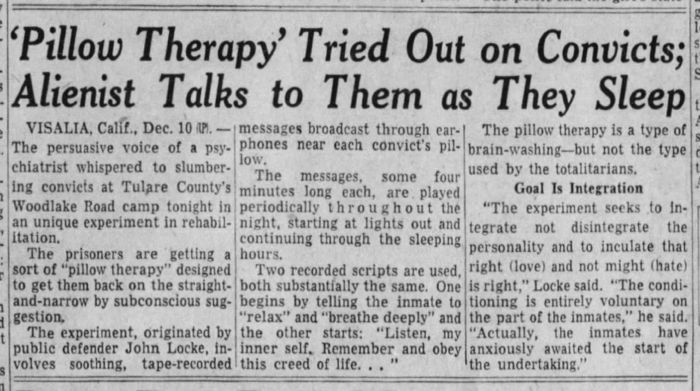 They described Operation Sleep as "a type of brain-washing — but not the type used by the totalitarians." Unfortunately, there doesn't seem to be any data on whether the experiment actually had an effect of criminal behavior. The superintendent of the prison noted, "We have had excellent cooperation from the inmates. But of course, it is too early yet to tell what effect it will have. We won't know until after the men have been released and face the temptations of freedom again." 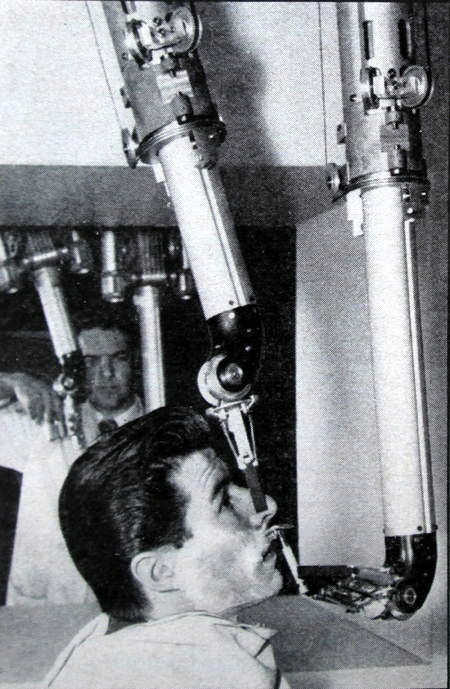 The picture at the top is from Newsweek (Dec 30, 1957), and shows one of the prisoners who participated in the experiment. 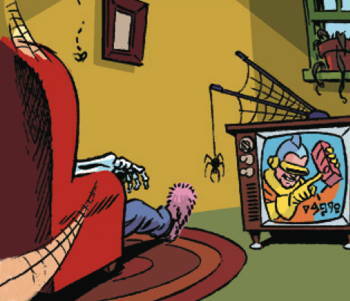 The fact that he's sleeping with a dog seems a little strange. I guess the inmates got to keep pets in this prison. For three years now the sleep therapy program has been in operation. Locke and his associates are careful to admit that it will be at least three years more before anything conclusive can be deduced from the careful check they keep on prisoners after their release. Almost from the beginning though, the guards at the road camps noticed that the young inmates did not cause the same amount of trouble they had created formerly and were surprised when prisoners started coming to them for counsel. What is probably most indicative of the therapy's effect is the decrease in alcoholism revealed by surveys among ex-prisoners.